Welcome to my site. My goal is to make your home buying or selling process as easy as possible our website offers a wealth of information about the home finding and buying process. My site allows you to search for homes and real estate in Wichita, KS and surrounding areas quickly and easily. We offer multiple options on how you can search to make it easy for you! See All Available Homes from the Wichita MLS. In today’s real estate market, you need to work with a company and Realtor you can trust and rely on. Whether you are buying or selling your primary residence, a second home, investment property, multi family property, or relocating to a new neighborhood, Max McCann at RE/MAX Realty Centre can help make your homeownership dreams come true. 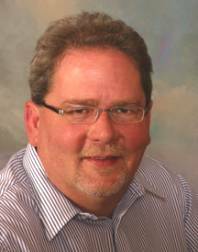 Max has 30 years experience selling homes & real estate in Wichita and surrounding areas. You can put his expertise to work for you today. Focusing on excellent customer service has inspired Max to build a team of results oriented professional Realtors that use superior technology and have high ethical standards – all working to provide their clients with the most positive real estate experience possible. Max and his team care about you and want to earn the right to get all your future business and referrals to your friends, relatives and business associates. Members of the Wichita MLS (South Central Kansas MLS), Wichita Area Association of Realtors, Kansas Association of Realtors, and the National Association of Realtors.